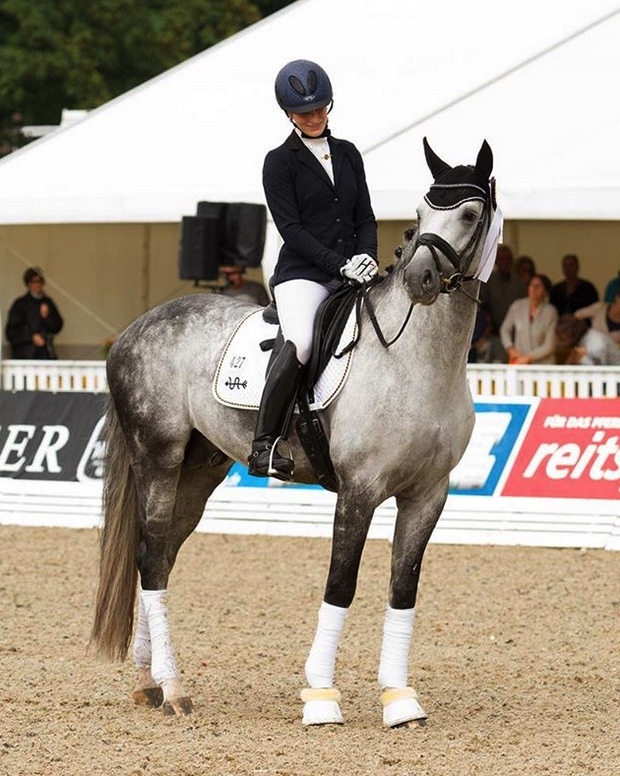 Belantis bay Hanoverian Stallion (Benetton Dream / Expose [Exkurs]) born in 2009, standing approximately 16.2 hands. 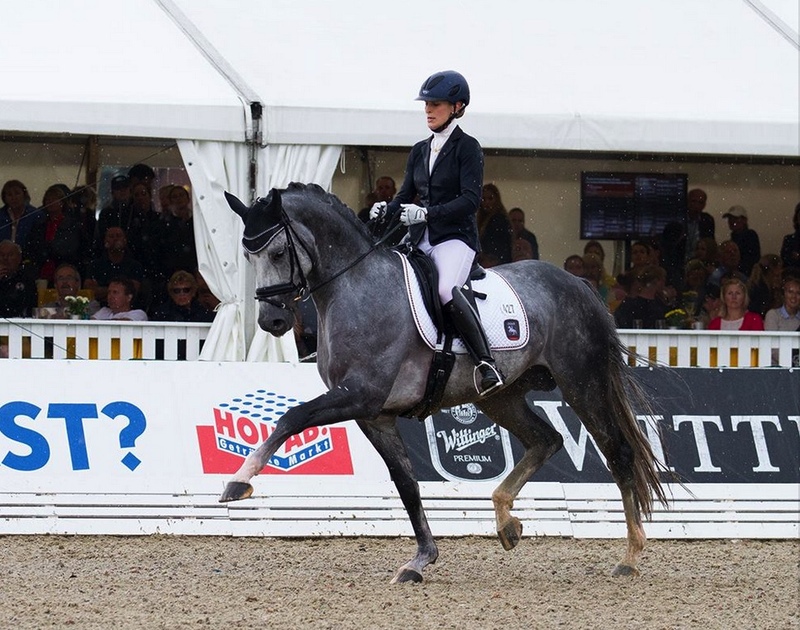 Impressive young stallion with consistently elastic and uphill gaits. 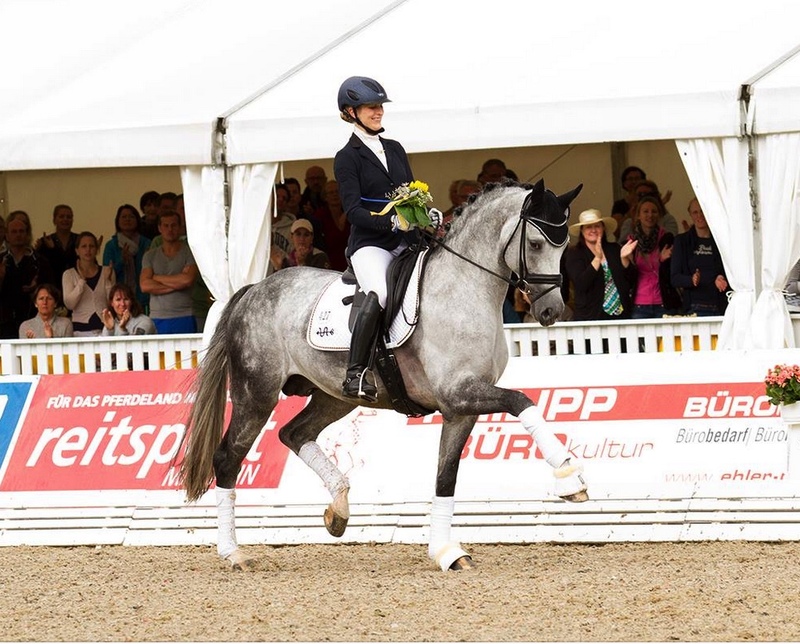 With a lot of cadence, very active hind legs, a walk that easily covers ground and an ability to capture the attention of bystanders, Belantis also impressed everyone at the 2012 National Championship in Prussendorf. 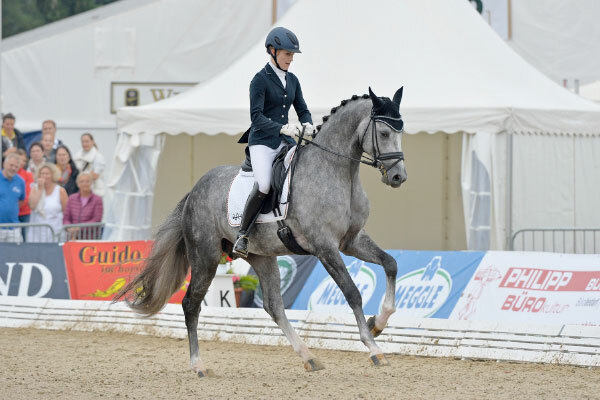 His aptitude for work and his natural ability set him far beyond other horses competing at the championship, and he won the competition by a wide points margin. Here, he also qualified for the Bundeschampionate, a competition for the top young horses in Germany. 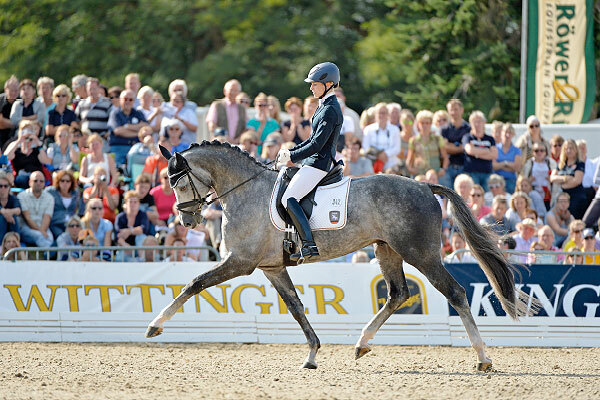 At his 30-days-test, Belantis was again the top dressage horse, with a final dressage score of 9.38 and a total final score of 8.83. His average scores are as follows: for walk 9.25, trot 9.5, canter 9.0 and ridability 9.75. 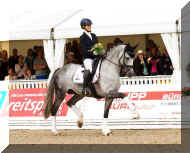 Test riders evaluated his ridability as a 10.0. 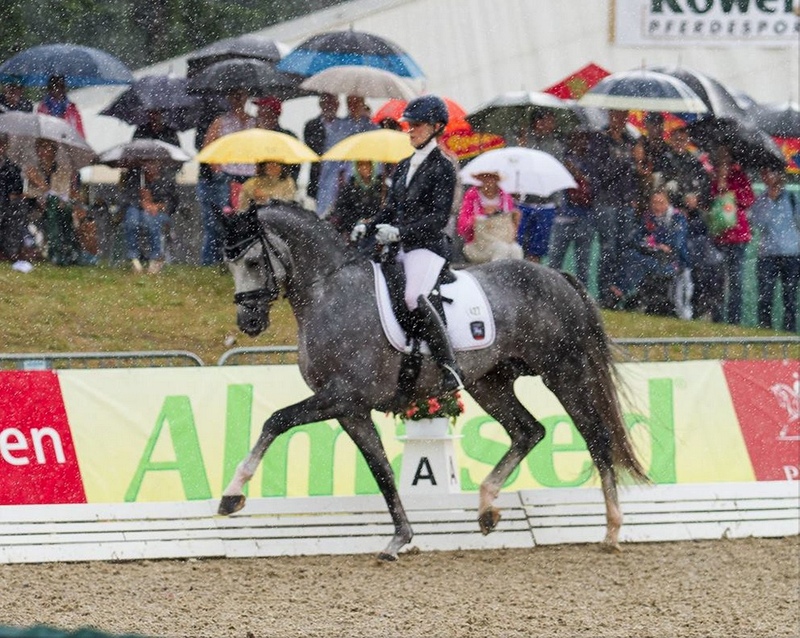 He was given a predicted dressage breeding value of 158 points! 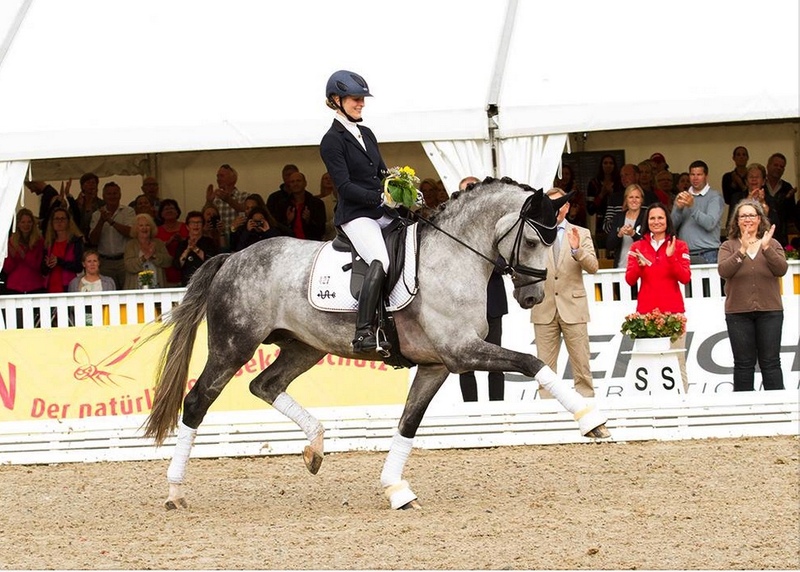 In 2014, he was nominated for the World Breeding Championships of Young Dressage Horses. Belantis is of extremely interesting decent. 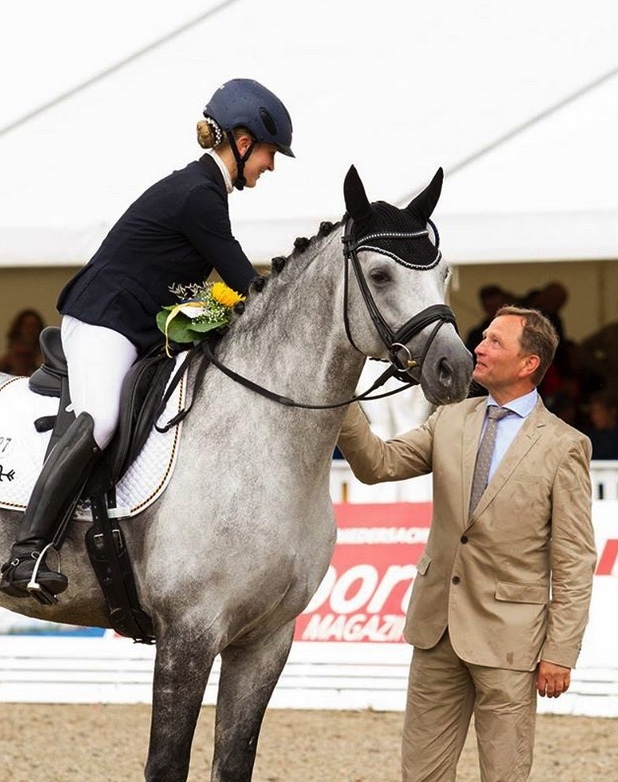 His father, Benetton Dream, was Bundeschampion in 2007 of 3 year old riding stallions. His dam, state premium mare, Philharmonie, is the half-sister of the licensed stallion, Quadroneur. 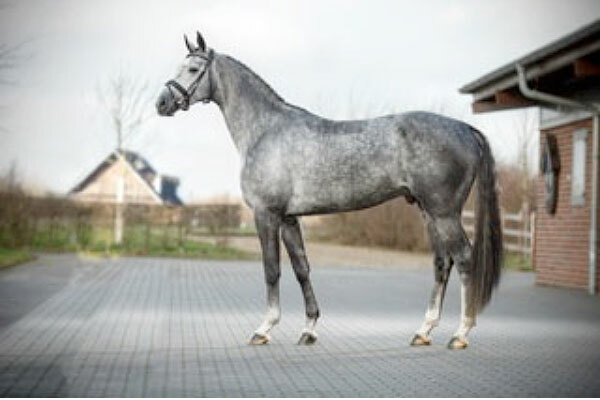 She is a member of the famous Neustadter P-Familie, which includes horses like the impressive sire Quaterback, World Champion Poetin and the licensed stallions Samba Hit I to IV.